BOSBA PAHN, 18, is the first Cambodian composer to have been accepted and currently studying at the New England Conservatory of Music. 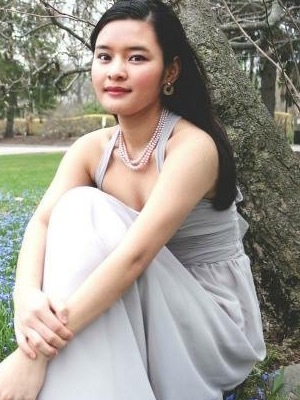 Raised in Cambodia, Bosba moved to the United States in 2012 where she attended the Walnut Hill School for the Arts and studied composition with Dr. Whitman Brown and voice with Debra Parker. She is inspired by tonalities from South-East Asia, jazz and late 19th to 20th century music. You can read more about her path at www.bosbapanh.com and facebook.com/bosbapanh. Bobsa is a member of the Center for Development of Arts Leaders (CDAL) in Boston.